Pets wrap their furry little selves around our hearts. I grew up with pets. 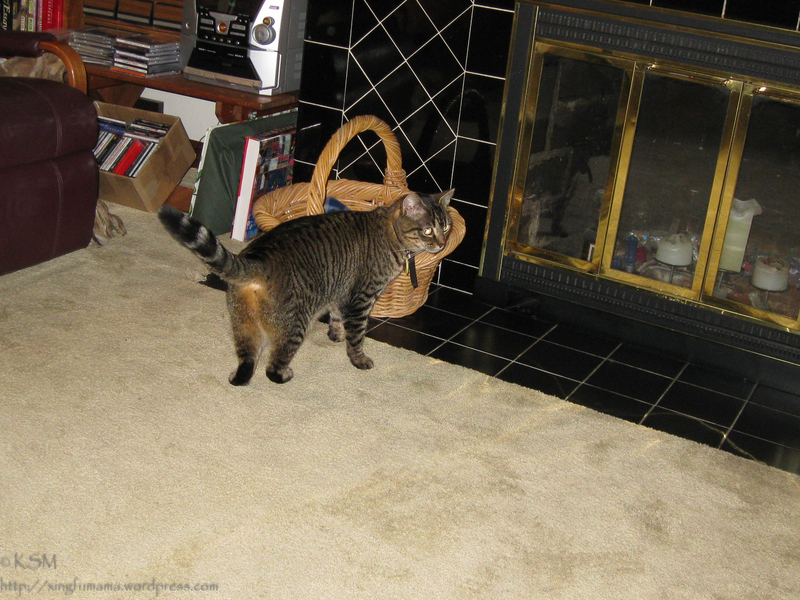 we had my faithful partner in crime Misty and three to seven cats, depending on whether there had been kittens lately. 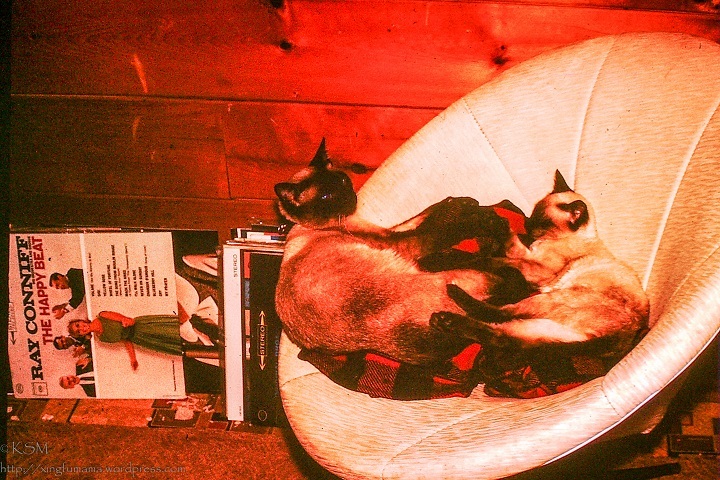 Most of our cats were Siamese and I don’t recall that we ever had problems giving away kittens. In this day and age it would have been considered totally irresponsible to have as many kittens as we had. I am a responsible pet owner (or servant, depending on perspective). We prefer to have only one pet (my husband grew up in a household with no pets). We live in the city and our first pet was Star. We got her from Pet Protectors, She was a beautiful black and white Sheltie, who had been brought to the vet to be put down because she was obese. She weighed a bit over 50 lb, and should have weighed 20-25 lb. She was about 8 when we got her and her tummy rubbed on the grass when she went off the sidewalk to go potty. It was pretty sad that anyone had let her get so fat, she loved to walk with me. But by the time we had her the excess weight had damaged her knees, so she walked very slowly, even when she was down to ideal weight, she maxed out at about 1 mile per hour. One time when someone called my husband told him that I was out “standing the dog”. It took about a year but with diet and exercise she got down to 25 lb and remained there for the rest of her life, she was about 16 when she passed away, so she had several happy years with us. She had a really sweet personality. Our one period of having two pets was because I tend to be a bit of a softy and agreed to take care of my youngest sister’s cat for three months in 1992. This was to keep peace in the family while she stayed with my dad and allergic-to -cats stepmother. She had named him Allan and for some reason I never cared much for the name, he was about 6 month old so I called him “kitten”. The three months turned into 17 years and I always called him kitten and he actually came when I called (weird for cat). He was a grumpy, fussy bachelor who did not care much for kids, taking swings at my nieces when they got too close. He was fastidious about going outside and not using his litter box unless it had snowed, then not letting us rest until the box was clean. About a year after Kitten left for the sunny garden spot in the sky I came home from a trip and felt sad to have no one home to welcome me. My son and I went to the Humane Society the next day and came home with our Empress. Someone had, in one of those unfortunate kitten naming events, given her the moniker “Binky”. She had grown to an elegant and substantial brown and black tabby. Since she had already been chipped as “Binky” we gave her a title, The Empress, and licensed her as “Empress Binky”. We call her The Empress and Your Highness mostly. There was a wink at PG Wodehouse and the Empress of Blandings in the name, because she has an eating disorder and was off her food when we brought her home. Like the Empress of Blandings, she got over her stress and we now have to keep a close watch on her diet. While the paperwork we got from the Humane Society said she lived with other cats and dogs, she says that is not true and her delicate temperament is unsuited to any role other than only pet. She snuggles us into submission to her every whim. My husband, who never even let Kitten on the bed, sleeps with the empress. If I could photograph them without waking them up, I would title the picture “The Other Woman”, but it might be too racy to publish with both of their heads on the same pillow! I also have puppy friends: here are Ginger, my Grandma’s dog, and Sam, my half sister (we have different mothers, can you tell? ). We all like to walk. Sam is also an avid fisher-woman.